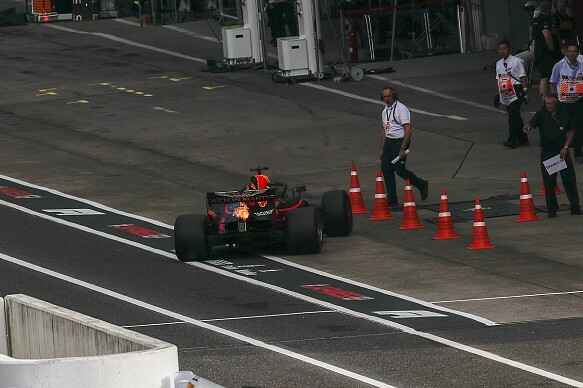 Red Bull team principal Christian Horner says the Renault engine problem that curtailed Daniel Ricciardo's Japanese GP qualifying "shouldn't happen at this level". Having got through Q1 in eighth place, Ricciardo suffered a throttle actuator failure early in Q2 without setting a laptimeso will start 15th. 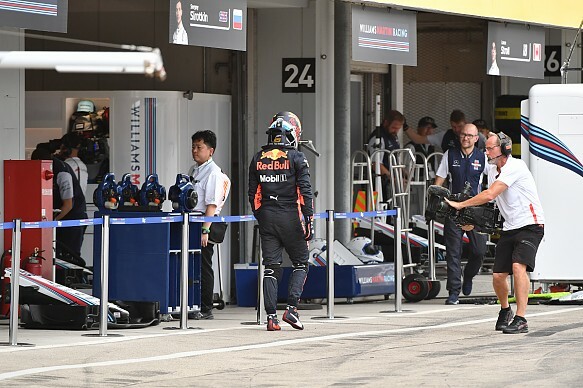 The team is allowed by the FIA to change the part under parc ferme conditions without a further penalty. The frustration for both Ricciardo and Red Bull is that he took engine grid penalties and started from the back at both Monza and Sochi in an attempt to ensure an untroubled run to the end of the season. Horner made clear his frustration with another Renault issue hampering the team's progress. "I'm gutted for Daniel really," Horner said. "No fault of his own, it looks like a throttle actuator on the engine side has cost him. "He's obviously bitterly disappointed. It's something that shouldn't happen at this level." Renault says the part that broke had not given trouble before, and that its design has remained the same all season, through the A, B and C specs, and thus the failure was not related to the recent upgrade. "We haven't seen any major problem with that in the past," Renault Sport boss Cyril Abiteboul told Autosport. "It's a part that's outside the parameters, so we can change it without having to start from pitlane, or without having to take a penalty. it's not C-spec related." Asked if he expected to have a chat with Horner about the failure, he said: "No, no discussions any more. Acts." Ricciardo admitted that his problem was made even more painful by the fact that Suzuka is a track on which it is hard to pass. "I'll have better pace than the cars around me, but I'm not going to be driving by them easily," he said. "I'd love to say I am, but I think realistically it's still going to be a pretty long old race. "I'll do what I can, but I'm not expecting it to be too crazy."